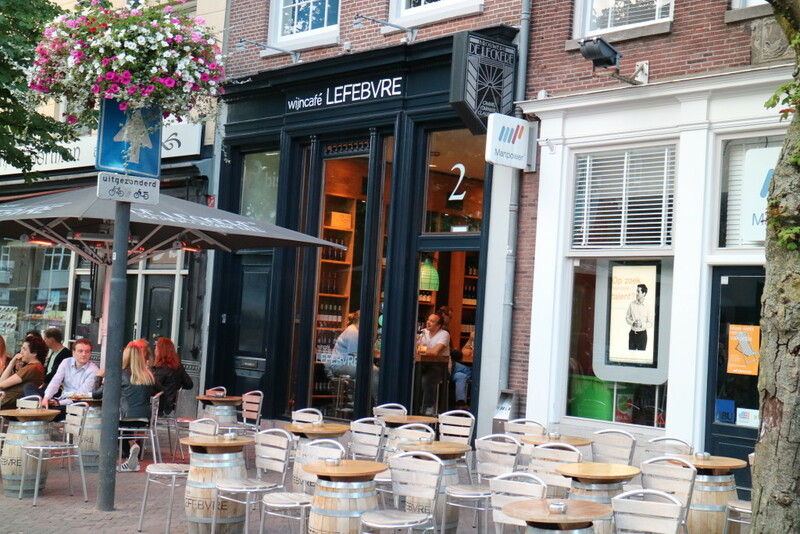 When in Utrecht we always try to go to Lefebvre, our very favourite place for a 5 o’clock glass of wine and snack. Since October 2011 this lively wine café exists on the A-location of Utrecht; Neude. This square is famous for its bar, cafés and restaurants and it’s always busy here. During special event days, like King’s Day, there is a stage on this square with great performances, and in winter you’ll find there a winter market with gluhwein and ice skating. During summer months the Neude is one big terrace. So there is no better location for a wine café, that is what the owner must have thought. Since day 1 it’s a big success and today I will show you why. Wines are excellent. Lots of choice, 99 (!) 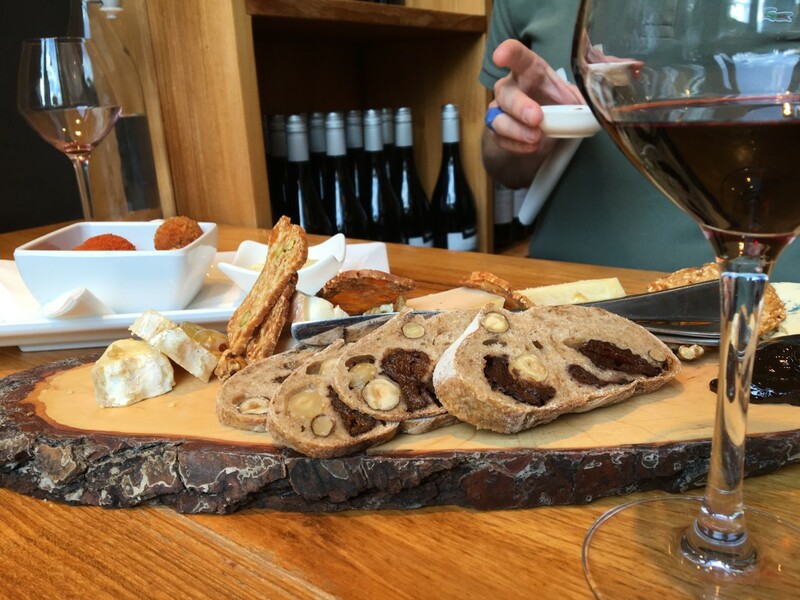 wines – some by the glass, other’s by the bottle. 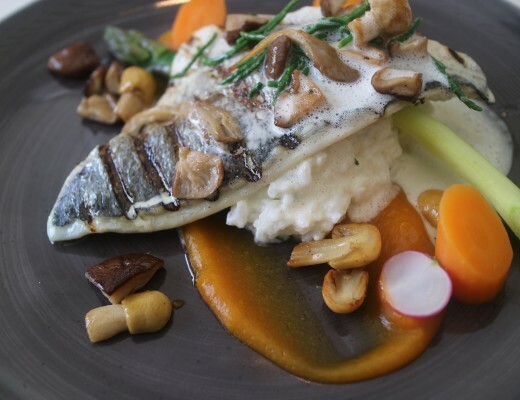 Different price ranges, different levels, from very easy drinking and not expensive (great for social network or after work drinks) to exclusive and special. For sure it’s a great place being a wine lover or connoisseur. But if not: don’t worry, they also serve beer, soft drinks, coffee and tea. Because of the use of an ENOMATIC wine system, no oxygen will come into the bottle and therefore the wine can be open for much longer than the normal expiry time of an open wine. There are three price ranges for by the wines by the glass; 3,75 euros, 4,75 euros and 5,75 euros. They always have per category 4 open white wines, 1 open rosé wine and 4 open red wines. That makes 12 open whites, 3 open rosés and 12 open red wines in total. And that is always like that. Lots of choice. I love it! 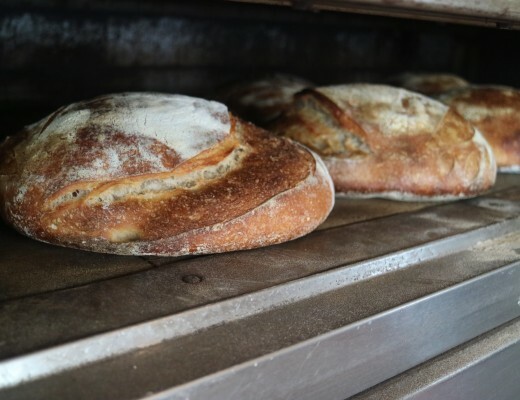 Besides wine there is food, too! 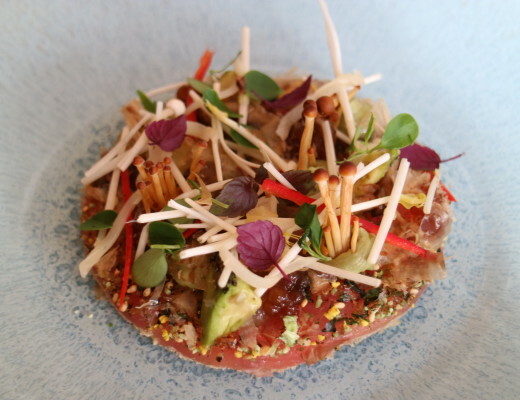 We always order the ‘Plank met lekkers’, lousy translated: ‘Plank with tasty goodies’. 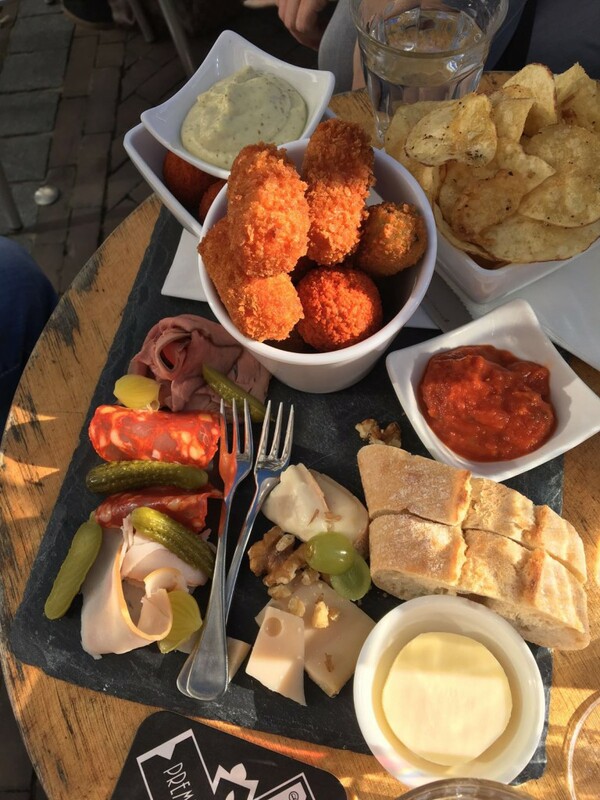 Like prawn croquettes, bitterballen, charcuterie, cocktail gherkins, cheeses, farm bread, olives, crisps…. 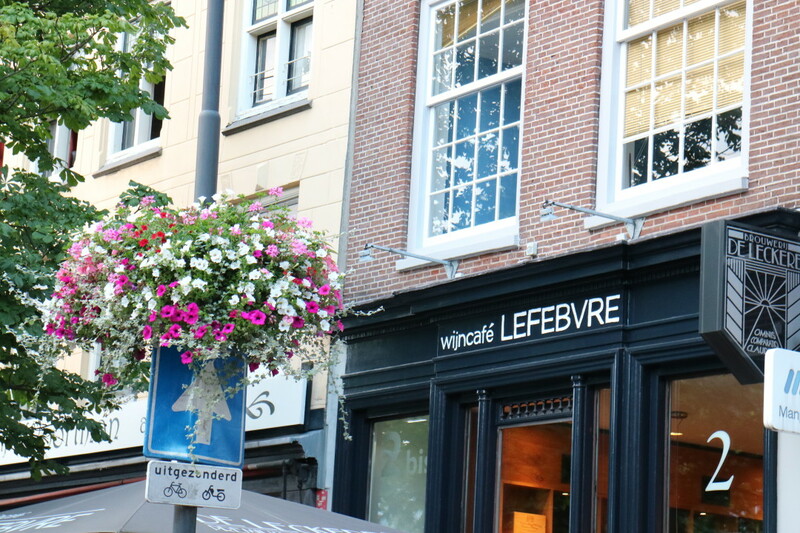 The wine café is located on Neude 2, Utrecht. Click here for road directions. Why not go a bit earlier to Utrecht for the historic hidden gem walk of the city? Earlier I wrote this article about it, full of insider’s information of places (like secret gardens and courtyards) you will pass without notice otherwise. 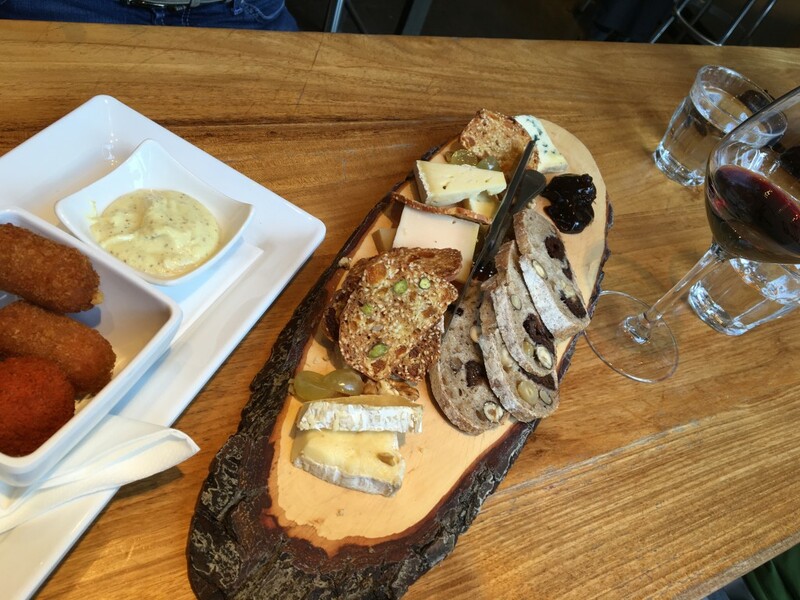 Finish your walk with drinks and snacks at Lefebvre wine café. *Note: I have not been payed, asked or invited to write about Lefebvre wine café. We always pay the bill ourselves here. All photos are mine and made with a Canon EOS M3 camera. Do you want to stay up to date? Follow me on Instagram!